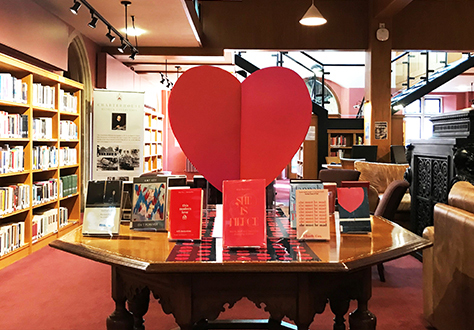 Spark inspiration this Valentine’s Day and visit the Library to borrow one of our new poetry books, see the list below. Seeking closure after a tough break-up, YouTuber Will Darbyshire was driven to strike up an intimate conversation with his online audience. Posting a series of questions via his YouTube, Twitter and Instagram channels, Will asked his followers to share their innermost thoughts about their relationship experiences, in the form of hand-written letters, poems, photographs, and emails. This Modern Love collects these letters together to form a compendium of 21st century love, structured into the beginning, middle and end of a relationship. Amy Key's Isn't Forever is a grimoire for feminine selfhood in a world where a sense of self is flimsy, elusive and unrequited. The poems in this book are obsessive in their desire to construct and breach the terms of their own intimacy. This is a book where a tender and sabotaging shame of aloneness has taken root. Where wants cluster and are at war with each other. Where the heart is at once 'all lurgy' and an 'investment piece' to be saved for best. Where the sea is the only solace, but the sea is blasé. Hannah Sullivan's debut collection is a revelation - three long poems of fresh ambition, intensity and substance. Though each poem stands apart, their inventive and looping encounters make for a compelling unity. Readers will experience Sullivan's work with the same exhilaration as they might the great modernising poems of Eliot and Pound, but with the unique perspective of a brilliant new female voice. Anthologist Ana Sampson has collected an inclusive array of voices from modern and contemporary poets. 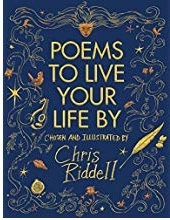 Immerse yourself in poems from Maya Angelou, Nikita Gill, Wendy Cope, Ysra Daley-Ward, Emily Bronte, Carol Ann Duffy, Fleur Adcock, Liz Berry, Jackie Kay, Hollie McNish, Imtiaz Dharker, Helen Dunmore, Emily Dickinson, Mary Oliver, Christina Rossetti, Margaret Atwood and Dorothy Parker, to name but a few! Four decades of poetry--and a generous selection of new work--make up this extraordinary collection by Pulitzer Prize winner Ted Kooser. Firmly rooted in the landscapes of the American Midwest, Kooser's poetry succeeds in finding the emotional resonances within the ordinary. Kooser's language of quiet intensity trains itself on the intricacies of human relationships, as well as the animals and objects that make up our days. As Poetry magazine said of his work, "Kooser documents the dignities, habits, and small griefs of daily life, our hunger for connection, our struggle to find balance." The Bloomsbury Society are hosting a poetry reading this evening in the Library at 8pm, everyone is welcome to join.